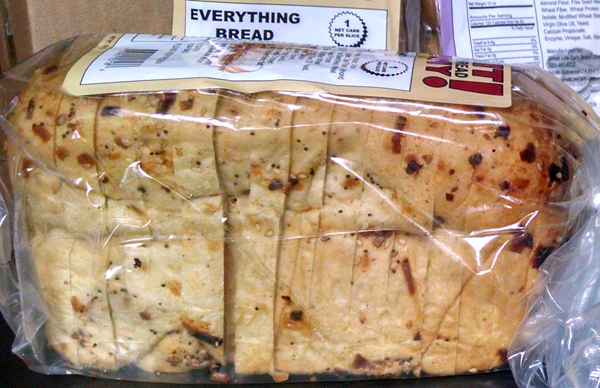 This is a low carb bread, of course – only 1 net carb per slice. I ordered from Netrition of course (the best prices). FYI, when you order the bread or buns at the links above, they’ll ask if you want thermal packaging (ice packs) and/or faster shipping. I don’t get either of those. I simply use the regular flat rate shipping – and my bread arrives just fine. Yes, even in the heat here in the south lately. I ordered the thermal packaging the first time for an extra $3.99, but honestly – I couldn’t tell a difference in the bread. It was actually pretty good, believe it or not. The brussel sprouts were roasted in olive oil, with salt & garlic salt. I just heated them up, toasted the bread, added mayo – and called it lunch. On the side, that’s the “Just The Cheese” White Cheddar Baked Cheese Chips. 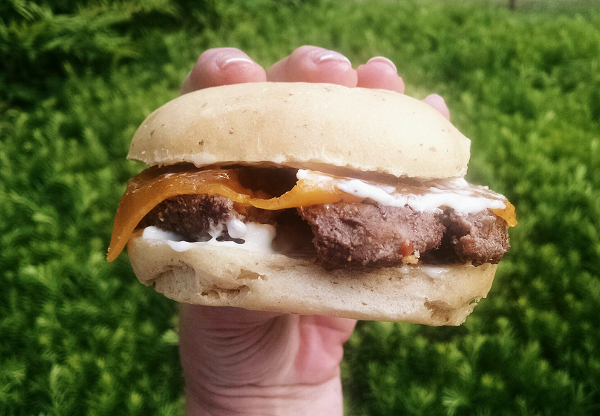 It’s just a big fat juicy burger with a dash of seasoning, a slice of Borden Natural Cheddar Cheese and some mayo. And a dill pickle. You could stack it mile high with lettuce and all sorts of fun stuff of course, but I decided to keep it simple. It was good. Would I buy the buns regularly? Probably not. But that’s because I don’t miss bread, not with a plate of meat & greens anyway (like hamburger steak & veggies). 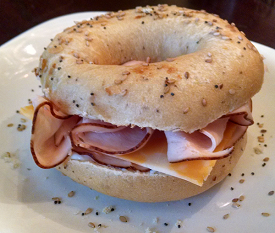 I do like the low carb bagels and loaf bread – mostly for something easy to grab in the morning, or for a quick lunch. 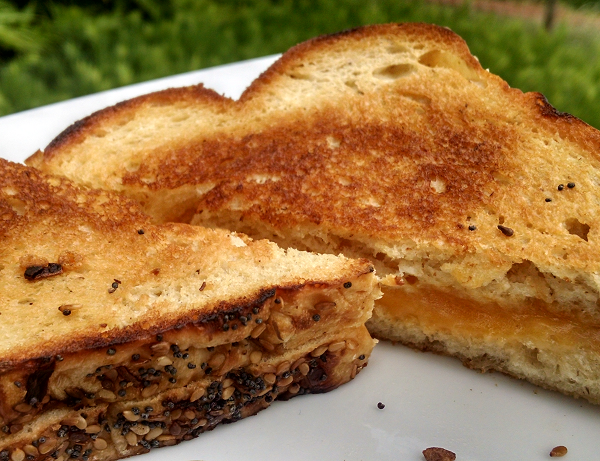 And that grilled cheese – wowsa! – mmm. I’m having a food flashback. 🙂 🙂 Yes, that was GOOD. Very good. 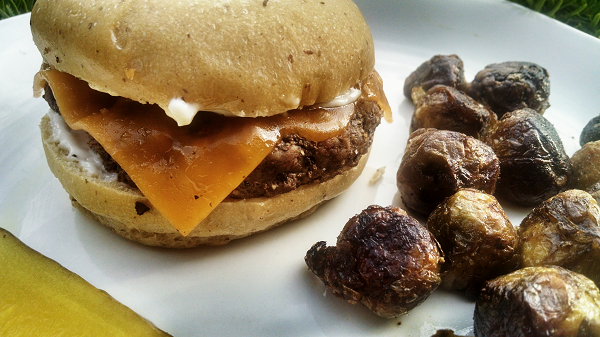 If you miss a big burger on a bun, these are definitely the buns to get. They’re only 2 net carbs per bun. They’re not huge, but they aren’t small. Just about right really. Unlike regular bread they are quite dense – so very filling. That also means they don’t soak up the juices and get all soggy like regular bread & buns too, which is nice. That grilled cheese was VERY filling! And only 3-4 net carbs, depending on your cheese. 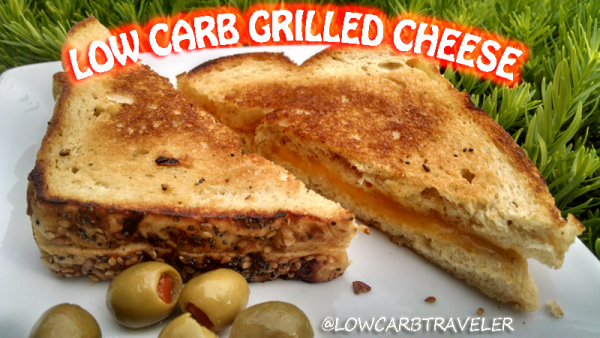 This entry was posted in Low Carb Foods and tagged low carb bread, reviews. Bookmark the permalink. 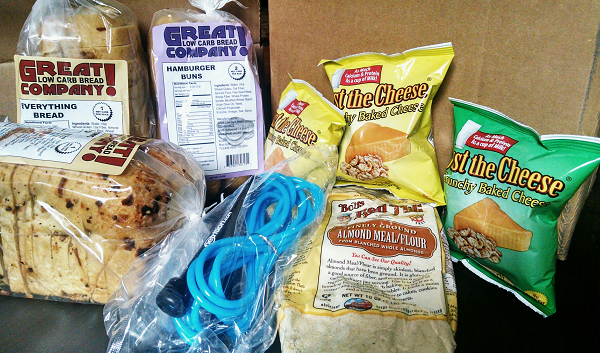 I order from netrition all the time for their low carb items! I love all of their bread. The hot dog buns, hamburger buns, regular bread, bagels! It’s all yummy to me! The Everything Bagels are still my favorite, but the Everything Bread is really nice for things like tuna salad – so it doesn’t fall through the hole. 🙂 And of course the grilled sandwiches! 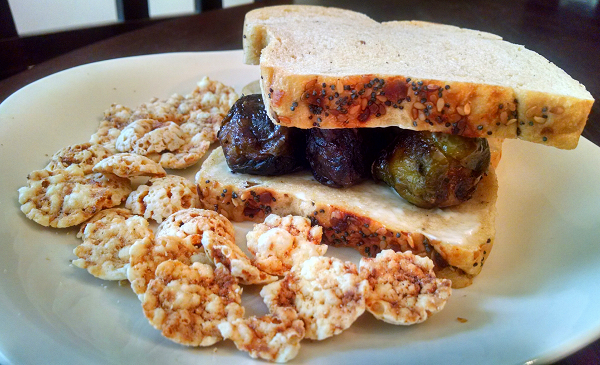 I love the rye bread, it works with everything for me. Yes, I even liked it with peanut butter. I did order the onion pockets, but haven’t tried them yet. I ordered with a friend, but she said the bread made her stomach hurt, so I also got the couple of things she ordered. I normally don’t like bagels, but I will try the ones she ordered and get back with you about those. She ordered the sourdough bread, another item I wouldn’t of normally ordered. I’m excited about trying that too, and report back on it as well. I agree the grilled cheese is great, I love it on rye, but I’ll give the Everything Bread a try next time. I’d love to hear your thoughts on the things you try, Terry! How odd that your friend said it made her stomach hurt. I did feel like the hamburger made me feel more “full” than I like to feel, but at least not bloated and lethargic like a real bun. That’s a plus! How long does the bread last? Can you freeze it? Yes, I put my extra loaf in the freezer. The last few times I’ve had the bagels on the counter for a week and they were fine the whole week. I just kept them sealed. Some people refrigerate them, but I don’t. My house stays 68-72 degrees, if that helps. Hi, Lynn, I love grilled cheese sandwiches on this bread – – I have tried Everything, Rye and Sourdough so far, and I am going to order the white bread this week…. Grilled cheese sandwiches are a once a week treat – – with very thin (see through thin) sliced roma tomato – – piled high and with cheese on both slices of bread… I added some leftover bacon the other day, too, and that was great… I love the sourdough – favorite so far for sopping up egg yolks, and so far rye is my favorite… Try a reuben – – to die for!!!! I nuke the meat for a bit to heat it through, and use thin sliced baby swiss and perhaps havarti or provolone.. Of course sauerkraut is wonderful, and I sprinkle it with a few caraway seeds… I made french toast with the sour dough and it was great – – mixed s/f vanilla syrup with the eggs and added some cinnamon… two slices more than filled me up and taste and texture was great… Sauted one slice in butter and the other in oil – – butter was way better – – may try coconut oil and coconut syrup in the eggs and top with some toasted coconut with HWC whipped for a dessert treat… I get grated s/f coconut and s/f toasted coconut at Nuts.com… Use it in Minute muffins and toppings for s/f jello and other things that I use whipped cream on… Sometimes I just swoosh some cream into a bowl and throw on a couple of s/f chocolate chips and toasted coconut and spoon it up…. Whatever does the trick~~~~~works for me…. Have a great week, Lynn…. Hugs. I really have to try that low carb french toast, Patricia. 🙂 Thanks for the great ideas!! 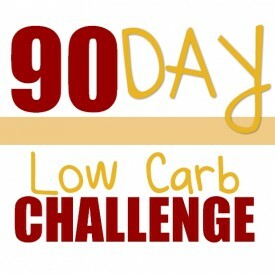 You can do low carb chocolate with plain hersheys baking powdered cocoa & stevia or whatever sweetener you choose. Just use real cream instead of phoney stuff. Hi, I bought from this website and am now looking for low carb hot chocolate–I have tried the same bread and bagels–I find the texture spongy–I try to ignore it–I am trying the grilled cheese next–I do find them a change of pace–I do not eat them every day. You’ll love the grilled cheese then – it’s crisp and delicious. 🙂 And toast your breads & bagels. It makes a big difference!! Here’s the low carb hot chocolate: http://www.netrition.com/cgi/goto.cgi?pid=241-0013&aid=3558 🙂 Enjoy! That’s totally up to you. It’s very low carb, so it fits in well with the diet. My advice: test it by introducing only this ONE new thing into your diet, keeping everything else the same. 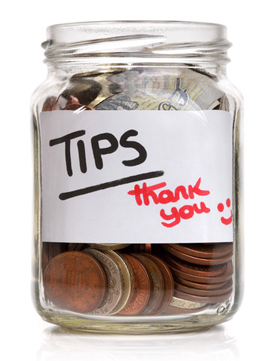 Thank you so much, I love your site and your receipes, they really help out. I hate to hear you had that experience. Contact the Great Low Carb Bread Company directly about your experience. Show them photos if you still have it. Just a warning – I ordered the bagels with thermal packaging and they came in with mold on 4 of the 6 bagels. I live in California, so that is a factor, of course. In the future I will be ordering directly from the company (which is also in Cali), not from Netrition. To be fair, they did give me a refund for these bagels, but will not do so in the future. The tortillas I ordered, as well as the chocolate items, were fine, The chocolate chips were slightly clumped together, but easily broke apart when I flexed the package. However, you could see the mold on the bagels without even opening the package, and I threw out the entire package.